The Uber-lush and transporting sounds created by the American composer WILLIAM EDGE epitomize the beyond-the-curve outer space sub-genre of ambient music. Combining of sounds and music to create an extraordinary and individual experience for the listener, this music is also perfect for TV and movie soundtracks as well as advertising commercials. Born and raised in Tallahassee, Florida, he was surrounded from a young age by the roots sounds of the Deep South. First studying classical piano at the tender age of six and switching to jazz upon entering his teens, his muses included such legendary influences as Dave Brubeck, Ramsey Lewis and Stevie Wonder. After receiving an MBA from Florida State University, he embarked upon a brilliant and successful career in computer technology, but his love of electronic music still remained a dominant force in his life. His passion soon morphed from that of an avocation to lifelong profession, when he began composing the first of a series of works on the computer and creating his own record label, Sounds Blue Music, both of which culminated in the conception of his new trilogy, representing man's journey to the end of the universe and perfectly paralleling Edge's own sojourn through life. Become a friend of William Edge at his MySpace page. You can also visit him at SoundClick. Click on the name, photo, or logo above to go to the artist's website. As a child, Stephen's first exposure to electronic music was when his father played him records by Wendy Carlos, Kraftwerk, and Jean Michel Jarre, sowing the seeds of his ambition to become a musician. 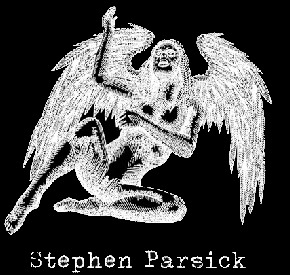 In 1989 Stephen released his first composition on Wunderwelt Musik, a CD sampler compiled by Erdenklang, a German label. His first solo cassette, The Rotation of Galaxy followed in early 1990. After a second release in 1991 called Polarity, he joined forces with Lambert Ringlage, resulting in the Trancesession release in 1993. In 1989, Stephen was introduced to Klaus Hoffmann-Hoock. Their long-term friendship and their mutual devotion to the Mellotron led to collaborations on projects by Stephen Parsick, Cosmic Hoffmann, and Mind Over Matter. ['ramp], originally a duo, is now Stephen's solo project for his more sequencer oriented music, although he is open to collaborations. Stephen is a dedicated vintage synthesizer enthusiast who has owned a number of rare electronic instruments over the years. He is a firm believer in crafting his own, unique sounds. Stephen is a freelance music journalist and language trainer who has studied Communication, Journalism, English, Dutch, Musicology, and Art History. He works in public relations and advertising. His involvement with the promotional campaign for Jean Michel Jarre's Metamorphosis album included writing the official Jarre biography for SONY Germany which was included in the promotional packages of Metamorphoses. Click on the photo to visit the artist's web site. Ian Boddy has been at the forefront of the UK electronic music scene since 1983 when he both performed at the very first UK Electronica Festival in Milton Keynes and released his first vinyl album, The Climb. In the four years preceding this event he had been experimenting at an Arts Council funded studio in Newcastle while at University. His early work resulted in three cassette only releases on the Mirage label as well as several local concerts. These early tapes showed Boddy gradually forming his own style through a long self teaching process in the techniques of analogue synthesis and tape manipulation. After the success of 1983 he went on to release another two vinyl albums, Spirits and Phoenix, as well as performing several concerts throughout the UK. However it wasn't until 1989 that his first CD release, Odyssey, came out on the EM label Surreal to Real. After Drive, his second release on the Surreal label, Boddy formed his own record label, Something Else Records, through which he released a further four solo albums as well as reissuing his three early vinyl albums and the cassette only release Jade on CD. Furthermore, he released three collaborative CD releases with some of Europes finest exponents of EM; Andy Pickford, Ron Boots, and Mark Shreeve. He continued to expand his concert appearences which have now surpassed over 100 events with concerts in the UK (including several more UK Electronica appearances, two shows at the Jodrell Bank Planetarium and two at the National Space Centre), Holland (five festival appearances), Germany, and three shows in Philadelphia. Alongside these mainstream EM activities, Boddy has also built for himself a formidable reputuation as a sound designer, having produced a series of sample CDs and virtual instruments for sampling specialists Time and Space. In late 2008, Boddy set up his own downloadable sample CD company with the Waveforms series of sample packs. He is also involved in library music, having composed nine such CDs for the publishing company deWolfe as well as producing some music for a computer games company. In 1999, he founded DiN, a new record label. Unlike his private Something Else Records, the DiN label was set up to allow Boddy to actively form different collaborations with a wide variety of musicians as well as release other artists music. DiN has achieved widespread critical acclaim for its adventurous outlook at the world of EM and has seen 31 releases with Boddy being involved in 16 of these, five solo and fourteen collaborative projects. In 2008, DiN expanded it's catalogue with a series of download only releases featuring Boddy in concert both as a solo performer and with other DiN artists. Click on the picture above to go to the artist's web site. Click on the photo to visit the event's web site. The Ricochet Gathering is a unique, yearly event held in exotic places for the purpose of having electronic music fans and musicians live in a communal setting for a few days to inspire, create, and enjoy electronic music! All music created at this event is live, unrehearsed, and improvised. The event is tied to EM pioneers Tangerine Dream and organized by Vic Rek. The event modestly started in 2000 with one organizer and five attendees. It has grown to include many musicins and fans who clamor to attend year after year. Each year, an inspirational location is selected and is somehow tied to a Tangering Dream theme. To date, locations have included the Okefenokee Swamp, the Mojave Desert, Poland, the Canary Islands, Tuscany, Yellowstone, and Transylvania. The next one, which will be the last one, will be held in late May in Croatia on the sea coast. Each album featured this month was recorded at a Ricochet Gathering. Click on the picture above to go to the event's web site. Click on the photo to visit the group's web site. Gert Emmens has been interested in electronic music since the age of seventeen. Except for the period from 1984 to 1995 when he concentrated on Symphonic Rock and Fusion in a band context, he has mostly been a solo EM artist. Gert has been releasing solo albums since 1999. In addition to his solo career, Gert has been making music with Ruud since 2003. Ruud Heij started composing electronic music on his own bt collaborated with René Jansen when they met in the 1990s. Together, they formed Patchwork. In the 21st century, Ruud joined Free System Projekt. With Marcel Engels, he makes a pure form of Berlin School music. Since 2003, Ruud has been making EM with Gert Emmens, who has EM-influences that differ from FSP and Ren� Jansen. Gert thinks that Ruud is the greatest sequence designer of all times. This is a key element in the music od Emmens and Heij. Become a friend of Gert and Ruud at their MySpace page. Click on the banner above to go to the group's web site. Each year, an inspirational location is selected and is somehow tied to a Tangering Dream theme. To date, locations have included the Okefenokee Swamp, the Mojave Desert, Poland, the Canary Islands, Tuscany, Yellowstone, Transylvania (Romania), and Croatia. The recent one in Croatia was the last one as they have been known. Photos from some of the attendees may be viewed via my Facebook profile. Each album featured this month was recorded at the 2005 Ricochet Gathering on La Gomera, one of the Canary Islands. Jeffrey Koepper has been creating emotional electronic music since 1985. He has released material in the past with the groups Pure Gamma and Immortal. His influences by early electronic musicians Tangerine Dream, Jean Michel Jarre, Klaus Schulze along with Steve Roach will be felt in his music of warm pulsing meditations, sequential rhythms and serene soundscapes. These influences are the spark that ignited his creative spirit. True to his roots, Koepper uses a variety of analogue synthesizers and analogue sequencers to create his evolving sound-world sculptures. He strives to "create the music of tomorrow with the technology of yesterday." His desire is to continue in the fine tradition of classic electronic music while bringing forth his unique approach of creating warm, emotionally crafted music. Become a friend of Jeffrey Koepper at his MySpace page. Click on the name or picture above to visit the artist's web site. 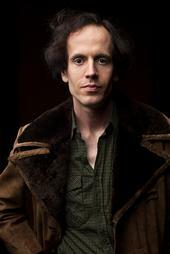 Saul Stokes is an American electronic musician and composer. He creates music that most would consider ambient or downtempo using his own, self built electronic music instruments, including handheld synthesizers, rhythms pads, and hand held controllers. Saul has released over eight albums on labels in the United States, Canada, and The Netherlands. In addition to performing in the San Francisco bay area, Stokes has performed in Canada and Europe. 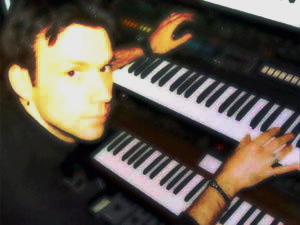 Saul composed music for Electronic Art's hit video game SPORE and runs an online electronic percussion sample library called Blipdrums.com. Become a friend of Saul Stokes at his MySpace page. Ulrich Schnauss is a German who lives in London and performs worldwide. Become a friend of Ulrich Schnauss at his MySpace page. Click on the name or photo to visit the artist's web site. The Serbo-Croatian phrase "vidna obmana" means "optical illusion" which is why vidnaObmana chose it to be his musical personna. This indicates his willingness to try new processes, sounds, and musical styles. One of the top three most respected and prolific composers/performers in the ambient field, vidnaObmana's internationally acclaimed atmospheric soundscapes have made him a sought after performer and collaborator. While in town to perform an exclusively unique concert at the Soundscapes Concert Series on April 19, 2003, vidnaObmana played a radio concert at midnight on the April 17th broadcast of Galactic Travels from the WDIY studios. More information can be found at his concert review. vidnaObmana has been a Special Focus on Galactic Travels before. Become a friend of vidnaObmana at his MySpace page. Visit Dirk Serries on social networks and see his other projects. Mario Schonwalder runs Manikin Records and is a member of BK&S (Broekhuis, Keller, and Schonwalder). Thomas Fanger runs Starflux Records and is a member of Mind-Flux and Fanger & Kersten. Together, Thomas and Mario combine their passion for Berlin School music and the classic sound of analog synthesizers to create the Analog Overdose series of albums. That makes November Analog Overdose month. Thomas Fanger is fascinated and inspired by the minimalistic music of Terry Riley and the usual suspects from Germany like Kraftwerk, Tangerine Dream, Klaus Schulze, and Can. He started making electronic music in 1978. 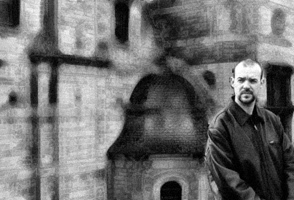 In the 1990s, Thomas returned to his hypnotic and minimalistic electronic roots. With his longtime mate Michael Kersten, he recorded several cds under the name of MIND-FLUX and FANGER & KERSTEN. With Jan Siebert (aka Jan Driver), he released several techno, trance and house records as AMORPH, E.H.G., FANGER & SIEBERT, SOUNDKOENIGE, BUGFIX, and SYNOPTIC MUSIC PLANT. Thomas is currently focusing on his work as a solo artist and his collaboration with Mario Schonwalder. Become a friend of Thomas on MySpace. Mario Schonwalder started autodidactic experiments in 1984 on a Korg MS20 synthesizer and a Korg SQ10 sequencer. One of his first musical productions, "The Ghost of the plateau from Nazca," was composed on borrowed instruments and recieved some airplay on a local radio station. More compositions saw the day in the period between 1984 and 1987, sometimes with the aid of a guitarist or a second keyboard player from the band "The Nightworkers." In 1988, "Le Mur" and "Force Down" were released on vinyl on Bernd Kistenmacher's Musique Intemporelle label. The next two releases from Mario on that label were "The Eye of the Chameleon" (1989) and "Hypnotic Beats" (1991). Mario founded his own label Manikin Records in 1992 which has released over more then 100 titles by artists such as Ashra, Klaus Schulze, Rolf Trostel, Edgar Froese and many more. Also in 1992, Mario got acquainted with Bas Broekhuis and two years later with Detlef Keller. This ultimately led to the formation of the Broekhuis, Keller, & Schonwalder trio. Become a friend of Mario on MySpace. Thomas Fanger and Mario Schonwalder started their musical liaison in 1999, playing lots of live gigs in and around Berlin. Famous guitarist Lutz Ulbrich of Ashra joined them for one of their studio sessions. The result of this session can be heard on Analog Overdose (2001). The limited first edition of this CD came in a round tin can. Due to the vast success of this release and the duo's legendary intense and euphoric live concerts, they decided to continue the Analog Overdose saga. In 2003, they released Analog Overdose 2 and 3. The latter featured Klaus Hoffmann-Hoock on guitar. Analog Overdose 4 (CD + DVD) features live material from their highly acclaimed concert at Hampshire Jam 5 in the UK. 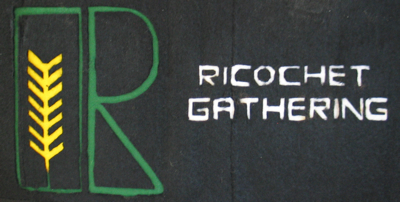 In 2007, they were invited by Vic Rek to join the legendary Ricochet Gathering in Montana. 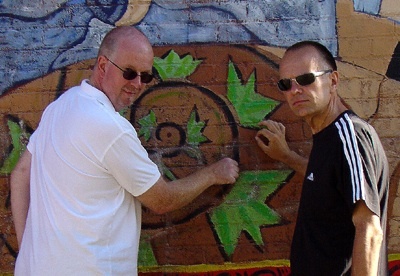 During their stay in the US, Fanger and Schonwalder recorded several new tracks which can be heard on the special private release "Stromschlag." "Elektrik Cowboys" (Ricochet Dream) features the F+S track "Montana Groove" which was recorded live at the Gathering. Besides the regular releases there are also some side and special releases, such as the "Analog Overdose Ricochet Dream Edition," Analog Overdose 0.9, and Analog Overdose 4+. Currently Thomas and Mario are working on Analog Overdose 5, which will contain a DVD and a CD with new material and is scheduled to be released in 2010. Become a friend of Fanger & Schonwalder on MySpace. In 1977, Indra started teaching himself the guitar which he played in folk and rock bands. 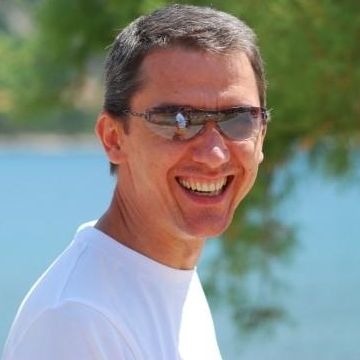 In 1986, he recieved his BSc from the Department of Aeronautics, University of Bucharest. Before graduating he started studying Oriental philosophy. It wasn't until 1991 when Indra developed an interest keyboard instruments and electronic music. By 1993, he was releasing his first albums. A veteran of many concerts and radio performances, Indra came to my attention when we both attended the 2008 Ricochet Gathering held in his native Romania. We renewed our aquaintance at the 2009 Ricochet Gathering in Croatia. Become a friend of Indra on MySpace.